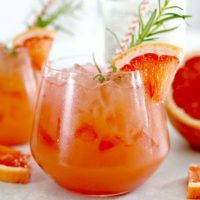 The Grapefruit Sunrise Cocktail is a delicious, refreshing drink that is a little sweet and a little tart…the perfect marriage of flavors! Sipping cocktails with friends on my patio in the summer is one of my favorite things. 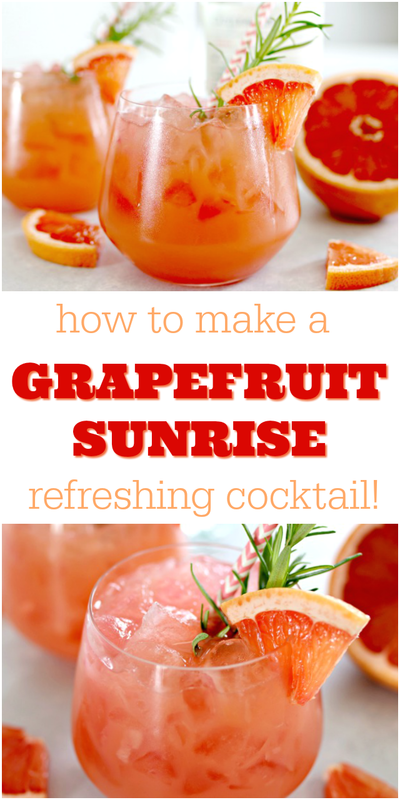 After a reeeaaallly long winter here in Kentucky, I am looking forward to getting back outside and enjoying one of my favorite drinks, the Grapefruit Sunrise! It’s a little sweet and a little sour, which just so happens to be my favorite mix! This cocktail is a brunch time favorite too, and would make such a nice drink for a bridal or baby shower…or heck, whatever occasion you can think up! 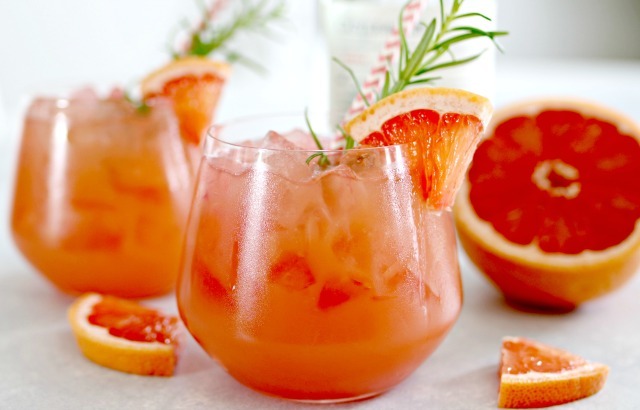 Step 1 – Add 1 ounce of vodka, 2 ounces of ruby red grapefruit juice, 1 ounce of orange liqueur and a splash of lemon juice to a shaker with ice. Step 2 – Shake vigorously. Step 3 – Strain over a glass of ice, and add a splash of grenadine. Step 4 – Garnish with a grapefruit wedge and a sprig of fresh rosemary. Enjoy! 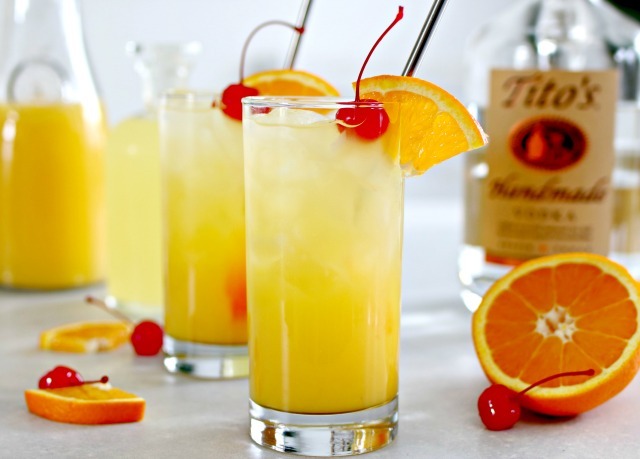 Add vodka, grapefruit juice, orange liqueur and a splash of lemon juice to a shaker with ice. Shake vigorously and strain over a cup of ice. 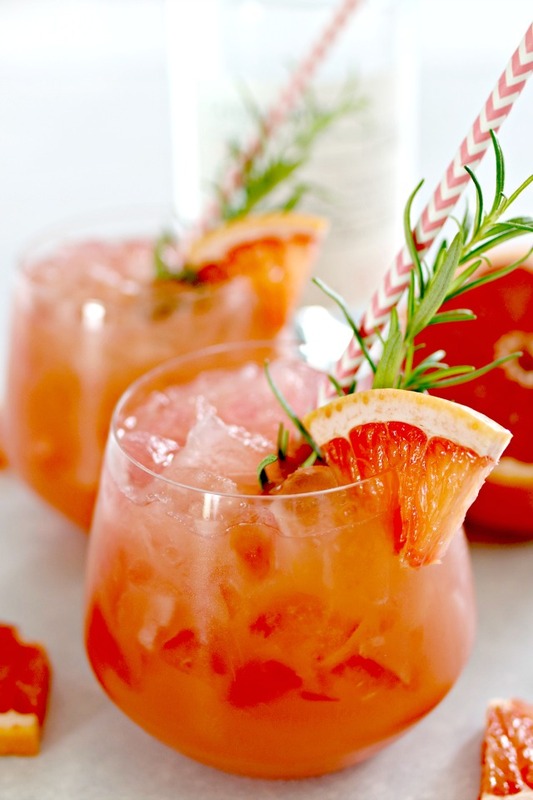 Add a splash of grenadine and garnish with a grapefruit wedge and a sprig of fresh rosemary. Be sure to pin this recipe to your favorite Cocktail Pinterest Board, and share with your friends using the share buttons below! This is one of my absolute favorite drinks…the Black-Eyed Susan Cocktail is the official drink of the Preakness Stakes, but I like to enjoy it year round. This is another great cocktail for brunch! The Belmont Jewel Cocktail is another race related drink! 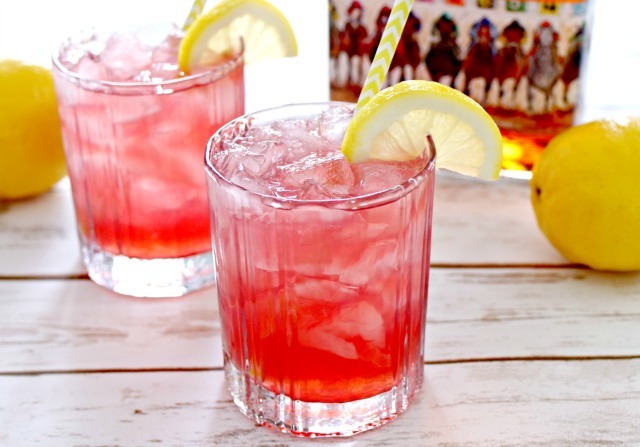 It’s the official drink of the Belmont Stakes, and is made with lemonade, pomegranate juice and bourbon…it’s so delicious, it will knock your socks off! 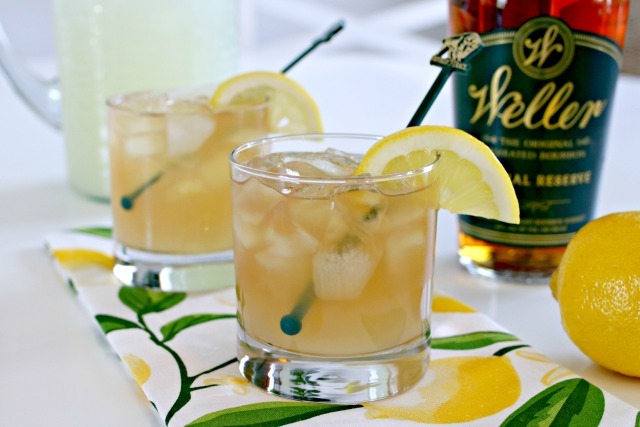 This is another refreshing drink made with bourbon…the Kentucky Lemonade Cocktail! This is one of my husband’s favorite cocktails to enjoy after a long round of golf.